Finally, a new build of Samsung Experience 10 based on Android Pie 9 is available for the Galaxy S9 and Galaxy S9+. So this means that now Samsung Galaxy S9 and Galaxy S9+ users will install Android Pie 9 With Samsung Experience 10 on Galaxy S9/S9+. After the release of Android PIE for Pixel phones, many manufacturers started working on the new Android PIE. And some of them already released the Android Pie for there users. A recently leaked firmware based on Android Pie is now available for the 2018 Galaxy S9/S9+. So which means that Samsung is started working on the latest OS and you will get the Android P on the Samsung devices. 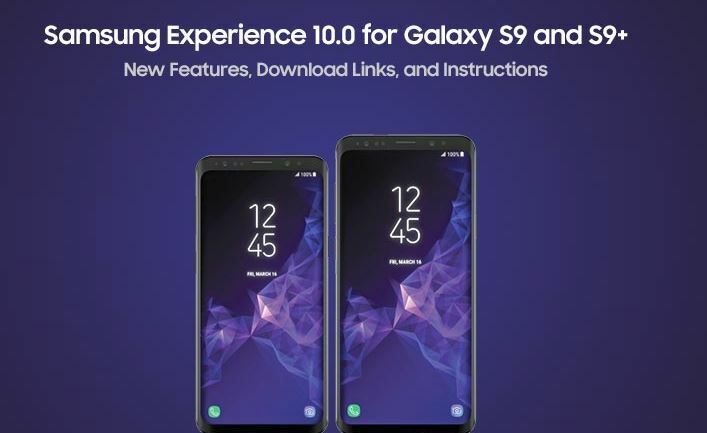 So here in this guide, we will show you how you can easily Install Android Pie 9 With Samsung Experience 10 on Galaxy S9/S9+. The new Android PIE OS comes with lots of new features like Digital Wellbeing, revamped QS/device settings, new recent bars and lots more. But in the Samsung Experience 10 you can get some extra feature which are only for the Samsung devices. This guide is a little bit lengthy, but one of the safest way to install the Android Pie 9 With Samsung Experience 10 on Galaxy S9/S9+. 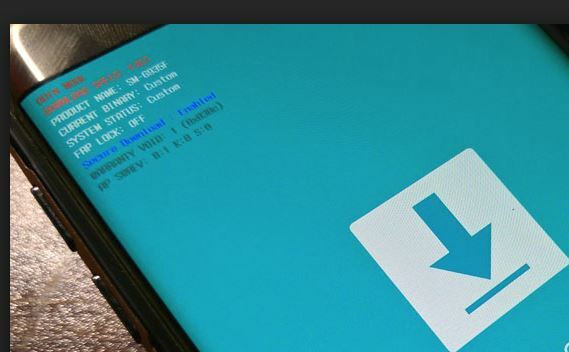 If you are the Samsung Galaxy S9/S9+ users and want to install the android PIE On your phone then follow the below mention instruction on your phone. Read all the steps very carefully and follow all of them one by one by one your phone, and yes do take the full backup of your phone. Warning:- This is the pre-build of the Android PIE and you will see some bugs here and there. For example, the front camera does not work. And there could certainly be many more. So if you can adjust with these buffs then install the same on your phone. We strongly suggest that you take a full backup of all your data before proceeding. This guide is only for the Samsung Galaxy S9 and S9+ running Snapdragon processor sold in the US. Do not attempt to install this on an Exynos-based device. Download Odin 3.13.1 and extract the zip on your PC. Also, download and install Samsung USB drivers on the PC. Install Android platform-tools on the PC. Alternatively, you can also use Minimal ADB and Fastboot tool. Download the update file form the below mentions link for your device and save them in your desktop. Make sure that you have the full backup of your phone and all the files are saved on your PC. In this guide first you have to flash the firmware on your phone and after that, you have to install the update file. So the guide is divided in two parts, follow both of them one by one. 2. Now unzip this file on your desktop. 3. Now Power off your Galaxy S9/S9+ completely to boot in download mode. 4. Once the phone is switched off, Boot your phone into Download Mode by pressing and holding Bixby + Volume Down + Power button simultaneously. 5. Once your phone in download mode. Connect the phone to the PC using the USB cable. 6. Now Launch Odin app on your desktop. 7. 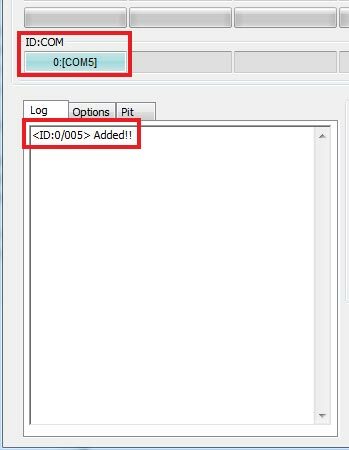 The ID:COM port on the Odin window should light up Blue. 9. After that Hit the Start button to run the installation. 10. Once the process finishes, the phone will automatically boot into the OS. Now, follow Part 2 to finally install Samsung Experience 10 on Galaxy S9/S9+ Snapdragon. 1. Download Samsung Experience 10 OTA (CRI5/CRI6) for your Galaxy S9/S9+ from the download section. 2. Now save the zip file in the Platform-tools folder. 3. Hold the Bixby + Volume Up + Power button simultaneously to enter stock recovery mode. 5. Now in the platform-tools folder, Hold the SHIFT key and right-click on an empty space inside the folder. Select ‘Open PowerShell window here’. 6. Now go to the phone and select Apply update from ADB’ and press the Power button to select it. 7. Now go back to the PC and run the following command on open command prompt window. 8. Now the update will start and take 2 to 10 minutes. 9. 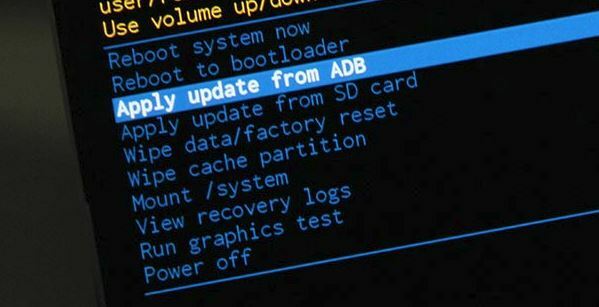 When the sideloading finishes, select ‘Reboot system now’ in the recovery. That’s it! Now the Android Pie 9 Samsung Experience 10 is installed on your phone. If you have any question and facing some problem during this process then, leave the comments below.